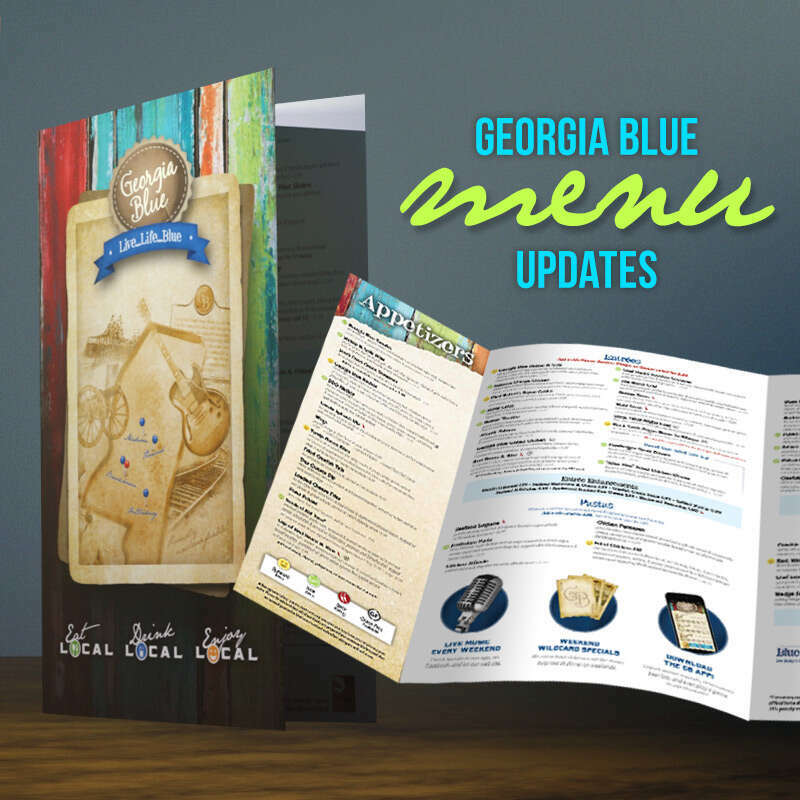 This was our 7th iteration of the Georgia Blue menu, and it brought some of the biggest changes yet. Georgia Blue added over 20 new items to their already huge selection, so space was an issue (they did remove a few old items, so that helped!). We also flipped the placement of the flap, making it the first panel you see when you open the menu. Overall I think it's their strongest menu yet (both in terms of design as well as food)!